365. 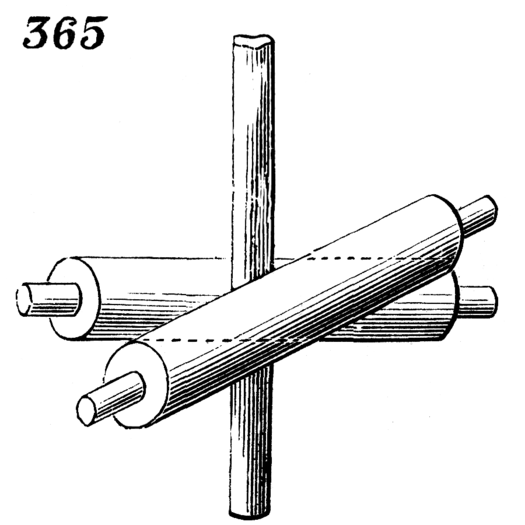 Cylindrical rod arranged between two rollers, the axes of which are oblique to each other. The rotation of the rollers produces both a longitudinal and a rotary motion of the rod.